Numark, the world’s leading manufacturer of DJ technology, introduces the NS6 DJ controller for Serato ITCH. 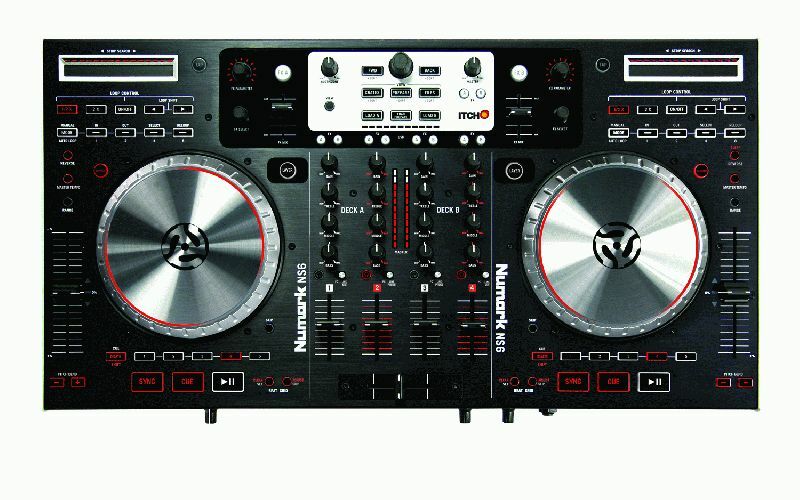 Numark will showcase NS6 at the 2011 Winter NAMM Show in Anaheim, CA, Booth #6400, January 13 – 16. 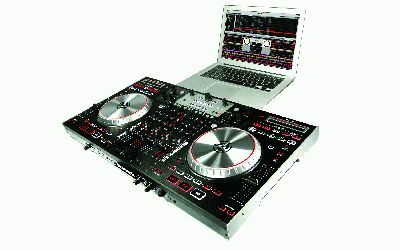 NS6 is a 4-channel Digital DJ controller with complete built in mixer and 4 decks of software control. This easy to use dual-platter system has been designed in collaboration with Serato to deliver powerful breakthrough performance to a broad range of DJs. NS6 borrows from the popular designs of Numark's award-winning NS7FX and V7 controllers and delivers substantial new features including the most responsive, high-resolution touch-activated platters ever produced in a DJ product. The wheels on NS6 deliver 3600 ticks of resolution per rotation; when combined with NS6’s automatically adjusted platter sensitivity the result is ultra-precise, high definition turntable control. In addition to high quality control functionality, NS6 contains a fully functional four-channel digital mixer that can be used with or without the computer, making NS6 perhaps the most versatile DJ controller and mixer combination in the world. Numark introduced Strip Search virtual needle drop technology to the DJ world with NS7. NS6 takes this one step further by adding position indicators that allow the DJ to always know track position, giving one less reason to need to look at the screen. Bi-Color LEDs also surround the wheel, providing both an indication of the Deck in control and also a Deck’s playback status. Effects can be instantly accessed by channel. The simple and intuitive design of NS6 includes favorites like mouseless Serato library navigation, Key Lock, complete Pitch Control, manual and instant Looping and Hot Cues. New features have been added including direct access to beat grid controls and beat skip, which allows DJs to juggle the track inline with the beat so that it never loses sync. NS6 includes a professional 24-bit audio interface to guarantee pristine audio quality from the computer. A full array of inputs and outputs are present, including XLR outputs, Headphone out, two mic inputs, two phono inputs, four line-level inputs, and USB to connect the system to a Mac or PC. NS6 comes with Serato’s ITCH DJ software and tightly integrates with ITCH thanks to close collaboration between Serato and Numark. NS6 also employs the proven, cutting-edge control technology invented by Numark in NS7, in which turntable and control information are communicated between the hardware and software at more than ten times standard MIDI resolution. This massive data stream creates the rock-solid, latency-free control for which DJs worldwide have hailed NS7. Because NS6’s communication is based upon MIDI, DJs can use it with a variety of MIDI software. Sam Gribben, General Manager at Serato says, “The Serato and Numark partnership has already produced the very successful NS7, NSFX and V7. We’re proud to be releasing the NS6, a controller which provides a DJing experience unlike any other. 4 decks, FX and amazing sound - it’s going to be massive”.